Paragon Networks are deployable cable specialists providing a wide choice of excellent and reliable cables and hardware. Our customers operate worldwide and their markets are diverse, they use our Fibre Optic and Copper cables for many interesting and varied uses, from Festivals to Defence and everything in between. Many of our customers have come to us with a need to overcome a communications link issue. We listen to their needs and using our knowledge and experience we design a solution to meet their requirement. We have developed new products by utilising what already exists and combining these with newer products and technologies to create a solution. Our solutions are manufactured either to our stringent designs or to agreed customer specifications. We offer UK manufacturing for quick turnaround or overseas manufacturing to provide that competitive edge. We ensure that the quality control is of the highest standard and employ manufacturers who understand the importance of our customers' business. All manufacturing is underpinned by ISO 9001 Quality Management. In addition to tailor made cabling solutions, we also provide ‘off the shelf’ cable and hardware solutions at competitive prices. In business, every penny counts. However we strongly believe that one should give back to the community when one can. As such we make regular charitable donations. This is part of our company ethos and core to our existence. Although it is our choice to give away some of our profits, ultimately it is our customers’ support and money that empowers us to do this. As directors of Paragon Networks, we extend a heartfelt thank you to all our customers for your continual support. Without this we would not be able to give to such worthy causes. Daisy’s Dream is a Berkshire charity supporting children, and their families, who are facing, or have experienced, the death of a loved one. The service is delivered by professionally qualified Family Workers and is provided completely free of charge. They receive absolutely no statutory funding and as such rely on donations from local businesses and communities to raise the £300,000 it costs to run the service each year. Their work consists of three main elements: The 1:1 intensive support with children, which takes place either at home or in school; Group work sessions and events which work with both the children and their families; and training for other professionals who are working with children facing or following bereavement. Their training is the only service that they do not provide free of charge. In 2012/13 their small team of Family Workers supported 560 children across the county. Brighton And Hove Bipolar Self Help Group are a local peer led group run by people affected by bipolar (manic depression). Anyone affected by bipolar disorder (including family members, partners and friends) are very welcome. The group's aim is to reduce isolation for those affected by bipolar and provide support and information. They have workshops and meet in a local coffee shop once a month. It is a drop-in group which is part of a national network of self-help groups. 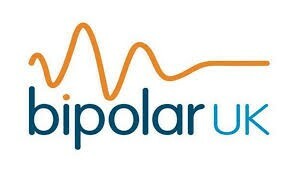 The national group is known as Bipolar UK and they have a membership you can join. Antifreeze offers spiritual, practical and emotional support to those on the streets of Brighton & Hove our outreach teams are on the streets in the evenings seeking to meet the basic needs of rough sleepers. We also open our drop in centre 4 days a week providing specific care, including help with housing, benefits and addiction issues. Gateway welcomes women experiencing periods of difficulty, abuse, isolation and mental health issues. Gateway provides a warm and caring drop in centre where women can talk confidentially to trained staff, come and learn new skills in various workshops and also receive both practical and emotional support. Although there is currently no cure for MND, symptoms can be managed to help sufferers’ achieve the best possible quality of life.